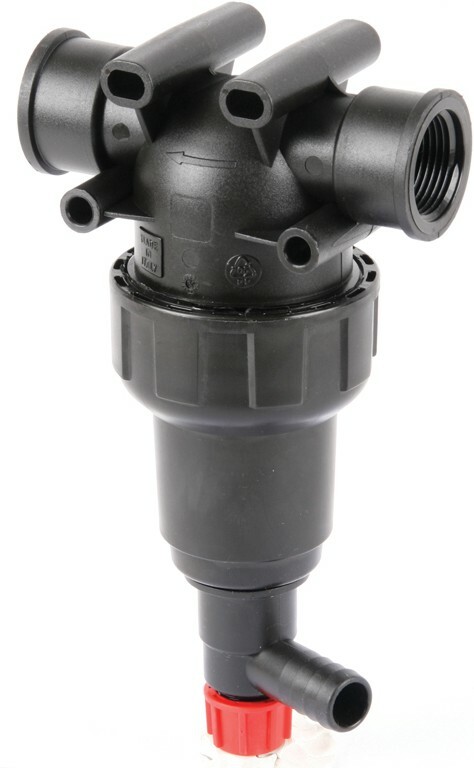 This 50 mesh filter has a 1/2” MPT outlet that mounts directly to the pump head without the need for additional mounting hardware and comes standard with a garden hose inlet connector. Inspect without removing the bowl. Checking well water supply: I would always allow the water to run for about 1 minute to let the pressure in the well’s supply tank drop. By doing so I will have a better feel for what the absolute least amount of water the well is able to supply. With the faucet wide open and using a clean, empty 5 gallon container look at the second hand on your watch and when it gets to 12 place the supply hose over the bucket for 15 seconds. Remove the hose – check the volume and multiply that by 4 since we have 4-each 15 second intervals in a minute. Or you could just run the test for a full minute and check the volume. Always perform a gallonage under low pressure and the engine running at it’s maximum operating speed. First, remove the chemical injector. Not only does the injector have a nozzle inside of it that will give you false results but more often that not the chemical line on the injector is in your favorite bucket of EnviroSpec detergent which will siphon out under low pressure. Now look at the second hand and when it gets to 12 place the hose over the bucket for 15 seconds. Remove the hose, check the volume and multiply that by 4 since we have 4 each 15 second intervals in a minute. Or you could just run the test for a full minute and check the volume. Not enough water produces Cavitation. Cavitation means that cavities or bubbles are forming in the liquid that we’re pumping. These cavities form at the low pressure or suction side of the pump, causing small explosions to take place inside the pump and unloader valve. The cavities or bubbles will collapse when they pass into the higher regions of pressure of the pressure washer, causing explosions, noise, vibration, and damage to many of the components. 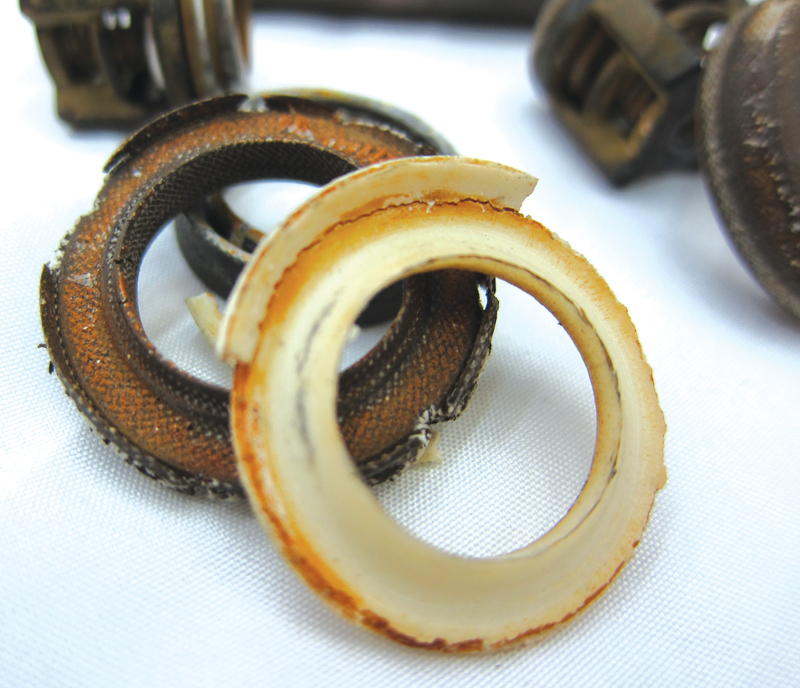 When these cavities form we experience a loss in pump performance. Continued exposure will substantially reduce the life of packings, seals, check valves and the unloader valve as well as other components that make up the water transfer part of the pressure washer. A properly ‘fed’ pump will go 8-10 times longer between rebuilds. Unloader valves will die of old age rather than abuse. All in all – whatever the cost is to provide the pump with enough water it will come back to you many times over and in a short period of time. Here is what we recommend and if you follow these suggestions you will substantially increase pump life. First – experience has proven that few of us like a huge, ugly water filter hanging off of the pressure washer. We have to get over that. Most pressure washers coming off of the assembly lines today will not even afford us enough room to install a properly sized filter. If this is true about your equipment simply get the correct filter and if it is to large to ‘hard-plumb’ to the machine just lay it down on the floor next to the machine and then run a short section of ‘non-collapsible’ hose from the machine to the filter. 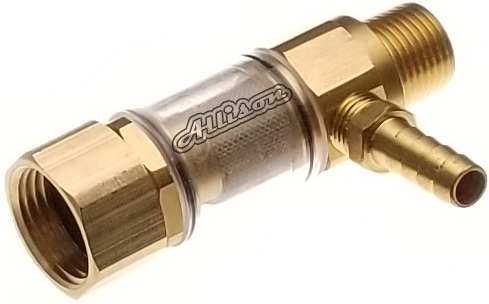 The minimum size filter from 4 GPM to 8 GPM should be a 3/4” in/out. Our part number 1013 should be adequate. 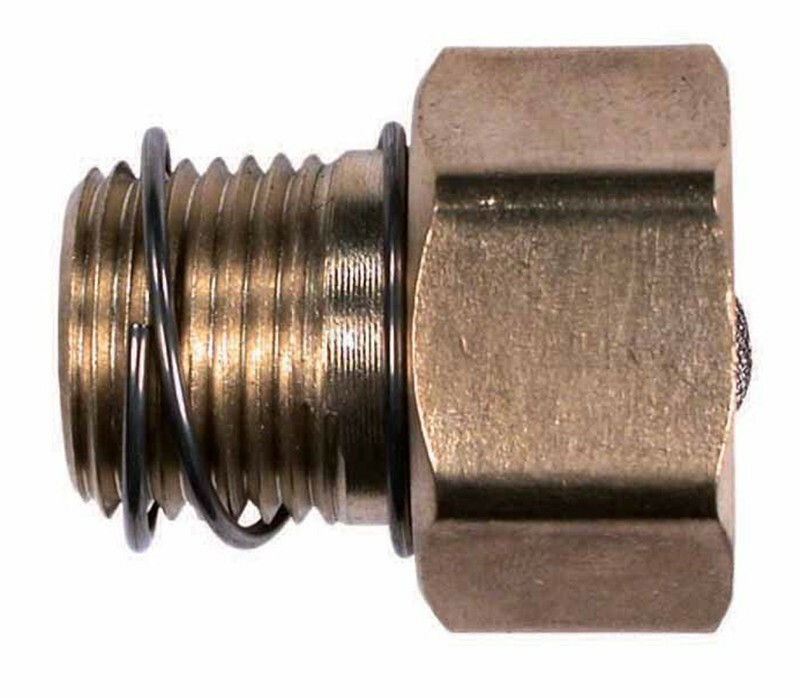 The minimum size filter from 8 GPM to 12 GPM should be a 1” in/out. Our part number 1015 or 3799 should be adequate. 1. Using the wrong hose from the supply tank to the filter which should be located either on or within 2’ of the machine. Most people think that an industrial grade water hose is sufficient. It is NOT regardless of the quality! Water hoses are designed to move pressurized water and not water under a vacuum. Garden hose will partially collapse when under a vacuum. You should be using non-crushable, ribbed transfer hose such as our part numbers 4530 for 3/4”, 4531 for 1” or 4532 for 1-1/4”. 2. Having to long of a hose running from the tank to the water filter which should be located either on or within 2’ of the machine. If you have the proper water filter as recommended above the supply line should be no more that 8’ in length. If the tank is further away than 8’ then I recommend that you increase the size of the supply line. For example: If you are 12’ away and are running a 5.6 GPM pump then you would use either a 1’ or 1-1/4” supply line. Remember, since the idea is to get as much water as you can as close to the machine as you can you can never have to big of a supply line. Just be sure and keep the filter within 2’ of the machine. 3. Running the tank to low is another big problem contractors face. I recommend that you never allow your water tank get within 18” of the bottom. If you do you stand the chance of creating a vortex which will allow air to get into the system which will create cavitation. Most city water can provide around 6-7 gallons of water per minute. This is okay if you have a machine that requires less. Any time you hook up t city water always clean your water filter. The water supply may be sufficient but the filter could be holding some of that water back. If it does – cavitation occurs. Residential – well water supply is alway a problem. Typically you can expect a supply of 4 to 5 gallons per minute when running off of a well and that is not always constant since the well tank is dropping in pressure as you deplenish it’s volume. Some think that you can correct this problem by adjusting the unloader and by-passing some of the water. NOT SO! The pump is still calling for the same amount of water regardless of what you do with the unloader. The correct way would be to reduce the engine speed thus reducing the pump’s volume production. Then you say ‘but if I do that I lose pressure!’ Yes you will unless you put in a smaller nozzle and readjust your unloader. Example: I have a 5.6 GPM Machine and I have a job where I will need at least 3500 PSI but when I did my gallonage check I found that the well was only giving me 4 gallons per minute. Look at the nozzle chart and you will see that 4 GPM at 3500 PSI is around a #4 nozzle size. If your engine is running at 3600 RPM to produce 5.6 GPM then divide 3600 by 5.6 which would equal 642.87 and multiply that figure by 4 which would be 2571 RPM. Set your engine to 2500, install the #4 nozzle and turn your unloader until you reach your desired pressure. Keep in mind that this is not exact science but close enough for what you are trying to accomplish. A pressure washer should never be operated with an unfiltered inlet water source. Components in the machine can be severely damaged by just one piece of grit flowing in with the supply water. 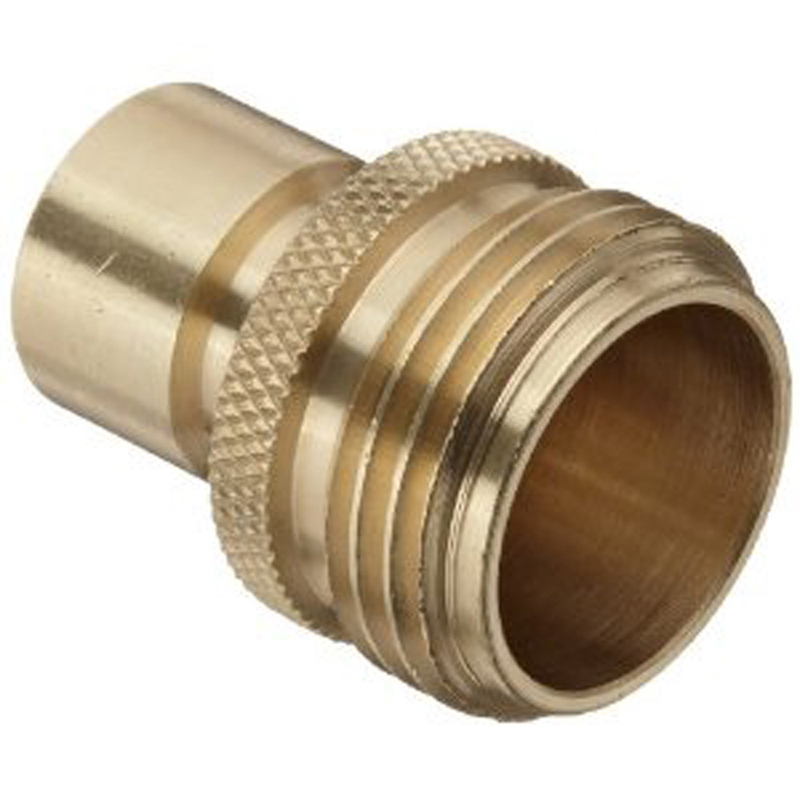 The different types of water filters commonly used on pressure washers include hose washer screens, bowl type filters, and y-type filters. Important features of a water filter are physical size, PSI rating, temperature rating, screen mesh size, port size, flow rating, and ease of servicing. Filter inspection and cleaning should be part of your equipment maintenance schedule. A dirty filter starves the pressure washer for water, which adversely affects performance and causes pump failure. Filters should be routinely checked weekly. When a flow or pressure loss is experienced, the filter is one of the components to be examined for problems. Adequate flow is crucial to the operation of the pressure washer. We recommend using a water filter that has a flow rating twice the requirements of the pump. So a 5 GPM pump would require a 10 GPM flow rated water filter. If you make the pump work trying to pull water through a restricted water source you pump maintenance increases dramatically. The type of water source that is used effects the rated flow of a filter. Using a pressurized feed, like a municipal or well supply, pushes more water through the filter than working off a tank feed that is creating little or no PSI. Most filters are rated for both a pressurized and suction flow rate. If a filter is rated for only pressurized flow, it probably shouldn’t be used in a water tank application. The dimensions of a water filter are important because number one it has to fit in the space where it is being installed into the inlet port of the high-pressure pump, and number two, if the filter is very small it limits the size of the filtering mesh surface. The less surface that is available to filter out debris, the quicker that surface will get dirty and begin to inhibit the water flow. 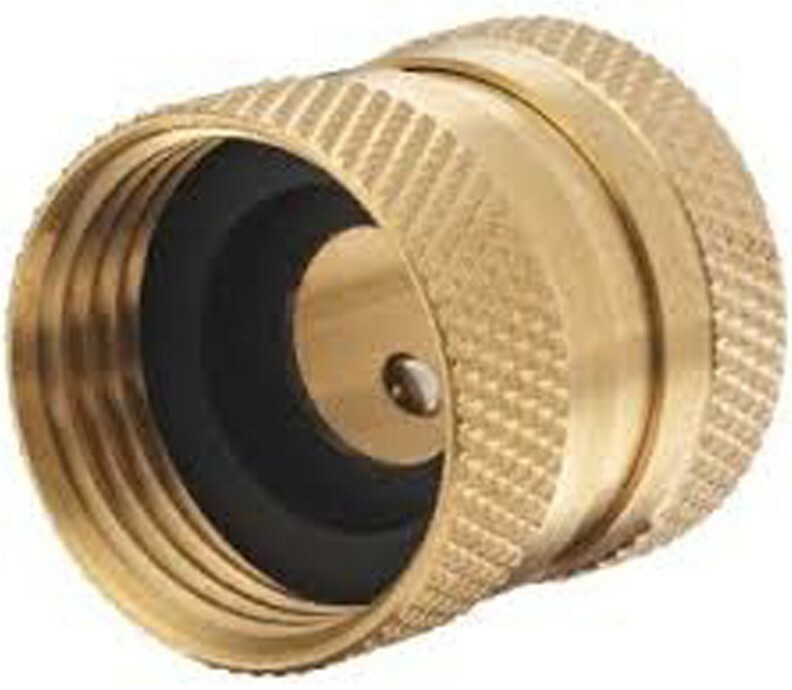 A washer filter, for example is used very commonly on pressure washer equipment. It has an extremely small mesh area that clogs rapidly, and it also isn’t visible. Both these features combine to create a situation where the inlet water flow is likely to become restricted, a condition that is very detrimental to the pump. Ideally, the larger the mesh surfaces the better. If the space for a filter at the pump is limiting you to a small size, consider mounting the filter remotely and running another section of hose from the filter to the pump inlet. The larger the inlet and outlet port size is the easier the water can flow through. 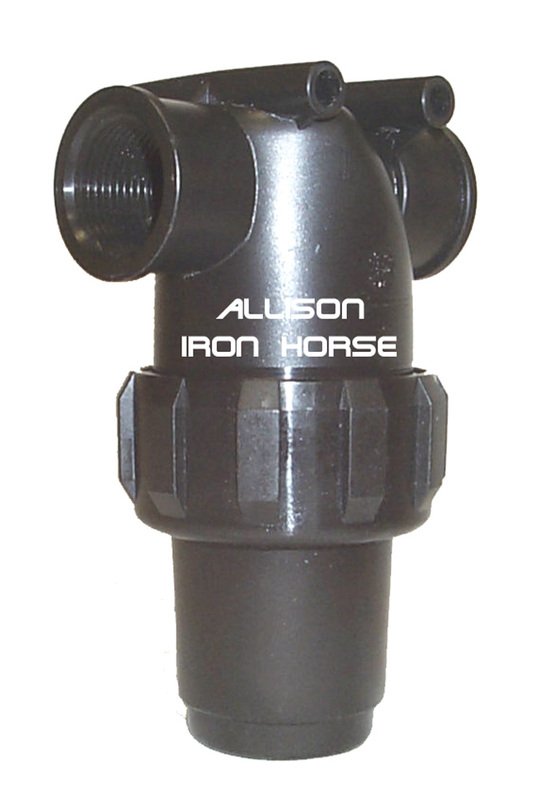 Inlet water filters are installed on the low-pressure side of the pump. The source water pressure must not exceed the PSI rating of the filter however. Most inlet water filters are rated to withstand 125 to 150 PSI. If the inlet water supply exceeds the rated limits of the filter most of the time it will blow out the gasket or crack the filter bowl. 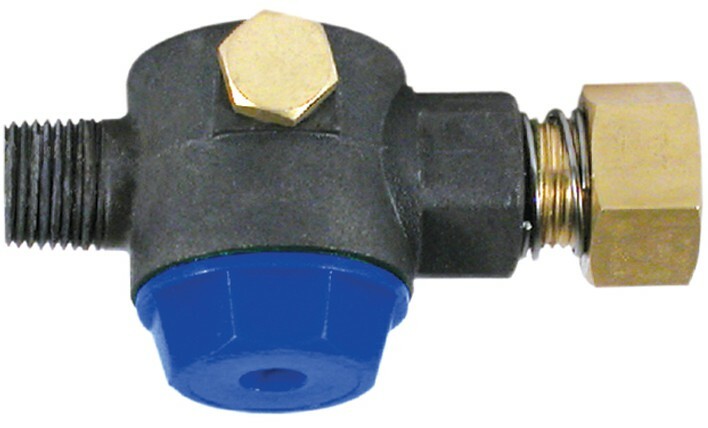 If the inlet supply pressure is too high for the filter, it is also to high for the pump, and a pressure-reducing valve should be installed upstream from the filter. Water tank applications have either very low PSI created by head pressure, or operate with suction in the feed line, so the PSI rating of the filter is unimportant. One other point is when the unloader bypass line is routed directly to the water filter the pressure of the by-pass water can become problematic if it is being forced through a small opening. If this is the case, route the by-pass to the water tank, or to the pump inlet on the opposite side from the water filter. Increasing the by-pass line ID reduces the PSI produced by the by-pass flow. 80-mesh size screen for an inlet filter is considered to be standard. For higher volume pumps, a larger mesh is advisable, 40 to 60 mesh being appropriate. The higher the number, the smaller the openings in the mesh are. Other mesh sizes are also available. The smaller the opening in the mesh, the greater the filtration, unfortunately the smaller mesh also clogs up quicker and it creates a greater resistance for the water flowing through it. This in turn reduces the gallons of water that will be able to flow through it in a given amount of time. A larger mesh reduces resistance but does not filter out particles that are too small. Schedule inspection and cleaning weekly. A y-trap type filter has a clean out that can be unscrewed on the lower section of the y. This is where the pollutants that have been filtered out collect. Flush the trap and the screen then reassemble. When cleaning a bowl type filter unscrew the bowl from the filter body, flush the bowl and the filter, then reassemble. Hand-tighten the bowl, tightening further will crush the washer and create problems in the future. Always be careful when reassembling to seat the gasket properly and to not cross-thread and damage the threads. 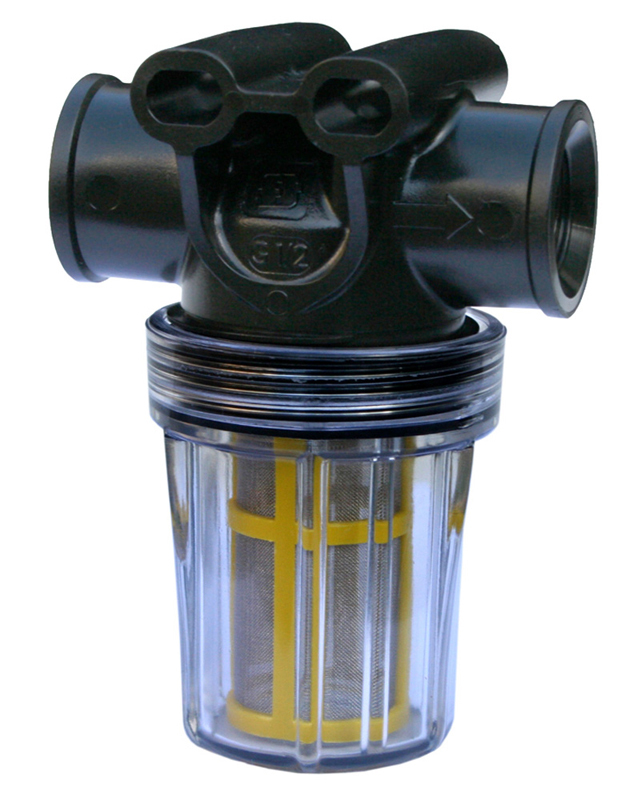 A clear bowl water filter allows for inspection without disassembly. While the filter is disassembled inspect the mesh screen and replace the filter is damage is discovered. If using a hose washer filter, which isn’t recommended, clean the filter mesh screen daily. This is only a factor if you use a supply source with hot water. Very few operations do so, as hot water affects other components of the pressure washer also. If you run equipment that has high temperature packings in the pump, and all the other components are rated for high temperatures, then you also have to check the rating of the water filter. Typically poly or nylon filters are rated at around 120 degrees. Aluminum filters are rated a high temperatures, up around 190 degrees.